At CFD, we don’t avoid the tough topics. We embrace them. 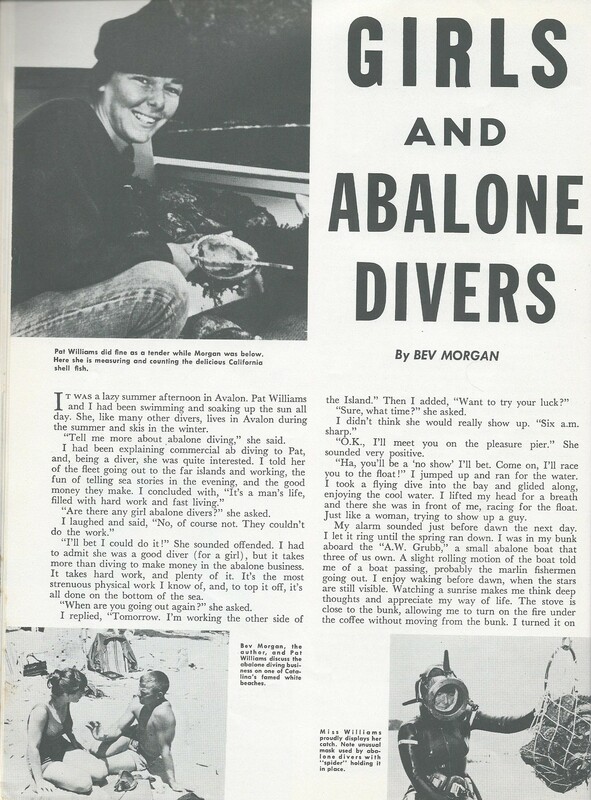 This Throwback Thursday is devoted to the social issues the early California diving community faced, and in hindsight, really embarrassed themselves with. In this case, I’m referring to the 1950’s and 60’s and the awkward birth and adolescence of our sport in regards to woman divers, or “chicks” as they were referred to. 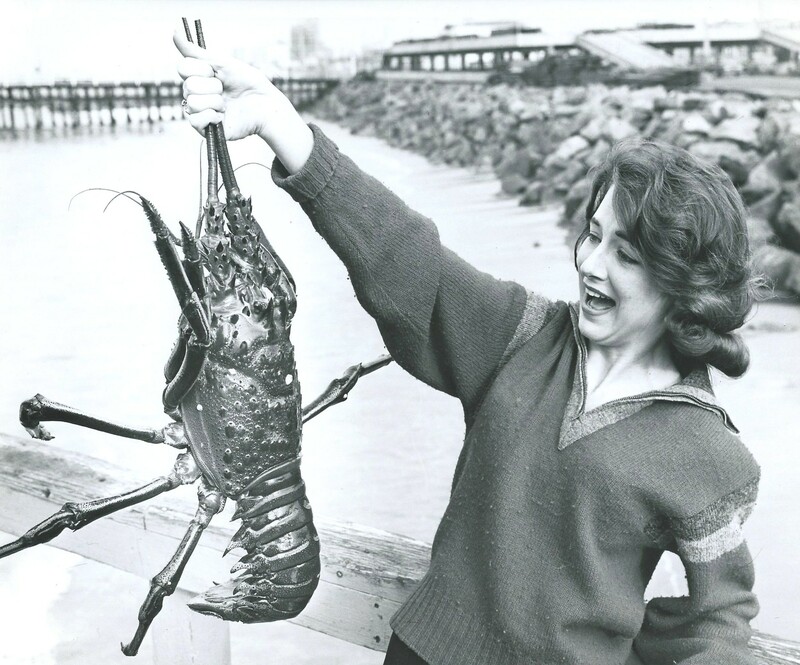 So enjoy an excerpt from from Skin Diver magazine entitled “Girls and Abalone Divers” and a photo from the LA Times that in some way is about lobster fishing out of King Harbor. I don’t know where to start with this one but I love the bikini/picnic on the beach shot. Traditional commercial fishing activity to this day. You can see it practiced on shows such as the Deadliest Catch. Ab diver Perry Marti and his new tender Lynn Taylor. Tending never looked so good. I think this shot is to emphasize using the right bait to bring the prize home. In this case, it’s the lobster. You wouldn’t know to look around the diving community these days at its gender and sexual diversity that it was once made up of a fairly monochromatic demographic, specifically white dudes between the ages of 20 and 40. As time moved on, the divers aged and scuba became made-up of white dudes between the ages of 20 and 60. It wasn’t until the late 80’s that the diving community, with the help of positive role models like Darryl Hannah and the little Mermaid, began to diversify and create the underwater rainbow we are all part of today. At least that’s the way I remember it. Next Next post: Lobster Opener is Here!!!! !